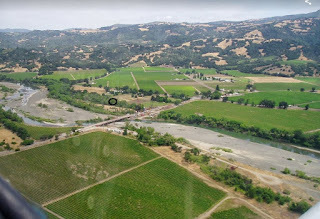 Sacramento river, California fishing and steelhead fishing information, also includes Sacramento fishing map and fishing report. 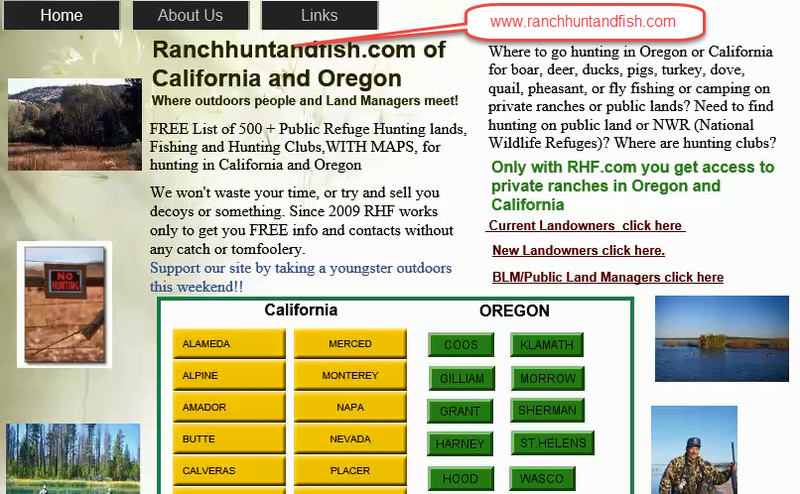 We describe how to fish the Sacramento river, and have info on hunting clubs, hunting ranches, private fishing and where to fish. January 23, 2019 - The Sacramento River cold temperatures has reduced fish activity Try and keep moving and find where fish are feeding. Click here for more fishing reports and maps. to zoom map and get access to 100+ free maps, click image! 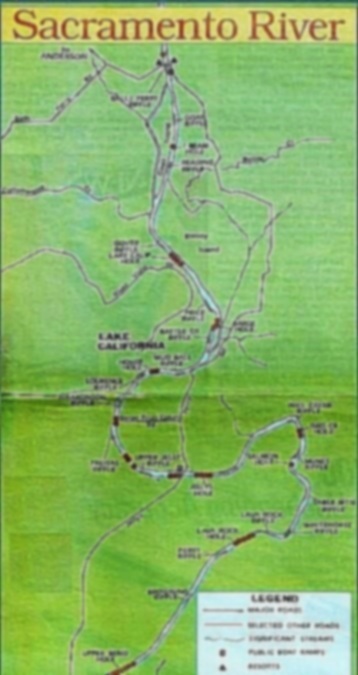 For the map above, the circular markers are the Salmon spots in deeper water, while the arrow markers are pointing to rapids or shallow fast water riffled areas that are the steelhead fishing spots!!!! 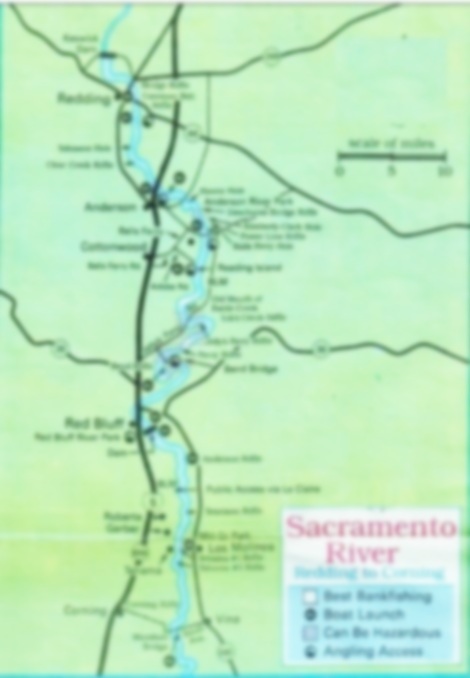 Read the rest of our blog about how to fish the Sacramento River for Steelhead and reference our fishing map and follow this blog for updated fishing reports for more information. Sacramento River offers some of the best steelhead fishing in the West. 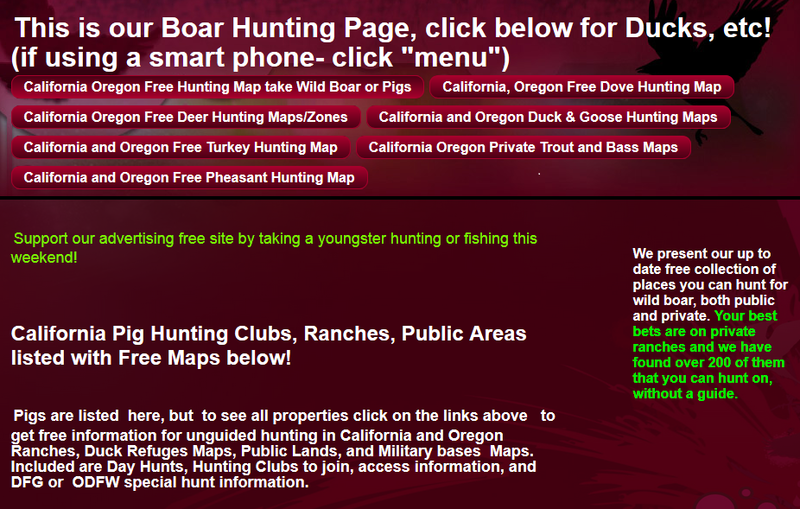 The finest spots are in our fishing map,Knights Landing, Grimes, Colusa and even all the way up to Chico.. But ﬁshing is spotty as the fish are in a hurry to get to the spawning grounds upstream. 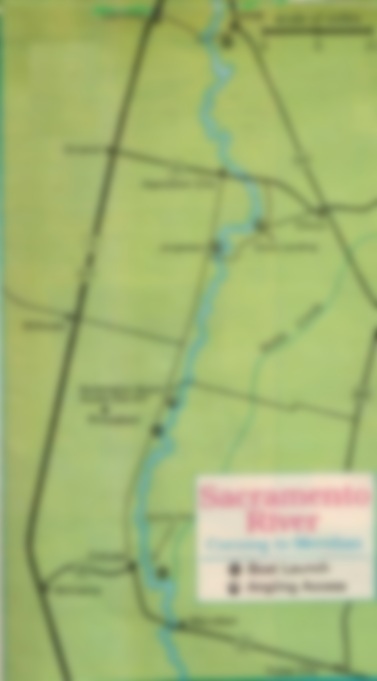 The best steelhead ﬁshing in the Sacramento River is from Los Molinos to Anderson. Fishing is fair at best above Anderson, mainly because Keswick Dam is not helpful to the fisheries. . Access starts at Los Molinos, off Tehama-Vina road, east of Highway 99 East. Steelhead line up up below the Red Bluff Diversion Dam, for best results wait for the a time when the river is high as this keeps the fish from trying the fish ladder. Launch at Ball’s Ferry Resort, or at Rooster’s Landing, depending on which side of river you come from.